Sales of Tequila in the UK have surged forward in the past two years by £46 million, rising by 37% to £173m in 2016, according to the Wine and Spirit Trade Association (WSTA). Tequila sold in the UK off-trade grew 7% in volume in the 12 months to 31 December 2016 and 5% in value, worth £13 million in 2016. The on-trade accounted for the remaining £160m worth of sales, with value sales growing ahead of volume, up 6% compared with the previous year. By volume, sales of Tequila in the on-trade grew 3% in the 12 months to 31 December 2016, to just under 1.9 million bottles. 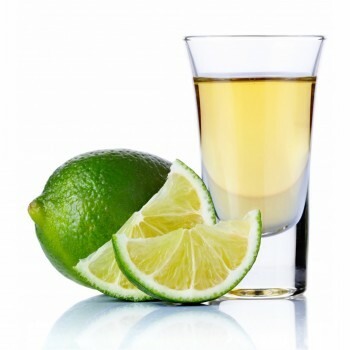 The WSTA attributed this to the growing popularity of premium sipping Tequilas and Tequila-based cocktails, as Brits move away from the classic combination of a shot and a lime wedge. “The UK has seen a boom in Tequila sales over the last two years, up £46 million to £173 million in 2016, an increase of +37%,” said Miles Beale, chief executive of the WSTA. The growth of Tequila in the UK has been attributed to the changing perception of the spirit by consumers, and the ways in which they are choosing to drink the spirit. “Agave spirits – especially Tequila – are now being acknowledged and accepted more widely as a crafted product with a plethora of rich flavours,” said Sophie Bratt, assistant bar manager at Harvey Nichols, OXO Tower. “It is these rich natural flavours that the production and ageing of the product impart that allow bartenders to create sophisticated drinks which in the past would have been resigned to whisky and gin bases. Opening up the world of Tequila drinks. The article is true but it is the 100% Weber Blue Agave that has been setting the trend. However I believe it is cocktails that has driven the volume due to the mix ability of the Siler or Blanco product. Cleo Rocos works hard to get the word out about 100% agave and how fabulous it is in cocktails. I still think shots are a big volume but these days its with 100% agave Premium tequilas like AquaRiva.